How dare anyone question fluoride in the water? (The Sierra Club is against adding it to water -- oops, another conspiracist organization! http://en.wikipedia.org/wiki/Water_fluoridation_controversy). How dare anyone question cell phone radiation? You must be a medical conspiracy theorist too and so can join the ranks of the rejected uneducated masses who also think the world is flat. (1) Government might ban conspiracy theorizing. (5) Government might engage in informal communication with such parties, encouraging them to help." JAMA Internal Medicine, online March 17, 2014. Looking closer I note that the both authors are not scientists, but are affiliated with the Department of Political Science, University of Chicago, Chicago, Illinois . . . JAMA is likely the front-line of defending medical establishment authority. It's an incredible resource, of course, but also has stooped to a very low level by publishing this. Causes and Cures.” Journal of Political Philosophy 17(2): 202–227. Why is the philosophy of "conspiracy theories" being taught to students in political science? I guess they will go on to be at the frontline of the propaganda wars themselves, if they go into politics. Conspiracy theories surround us. Witness the reactions on the Internet to the tragic and mysterious disappearance of Malaysia Airlines Flight 370. Perhaps North Korea hijacked the plane. Perhaps the Chinese are responsible. Or, as an influential legislator in Iran contended to the New York Times, perhaps the U.S. "kidnapped" the lost plane in an effort to "sabotage the relationship between Iran and China and South East Asia." Pick your topic: Ukraine, the National Security Agency, assassinations of national leaders, recent economic crises, the authorship of Shakespeare's plays -- it's child's play to assemble a host of apparent clues, and to connect a bunch of dots, to support a relevant conspiracy theory. In recent years, for example, many Americans have become convinced that the U.S. (or Israel) was responsible for the attacks of Sept. 11, that the U.S. government concocted HIV/AIDS, and that federal agencies have conspired to hide the association between vaccines and autism. Why do people accept such theories? The first explanation points to people's predispositions. Some of us count as "conspiracists" in the sense that we have a strong inclination to accept such theories. Not surprisingly, conspiracists tend to have a sense of personal powerlessness; they are also more likely to conspire themselves. "For the new study, he and his colleagues used data from 1,351 adults who answered an online survey between August and September 2013. The data were then weighted to represent the U.S. population". "researchers say people who believed in conspiracies were more likely to use alternative medicine and to avoid traditional medicine". Satyavira on Thu, 03/20/2014 - 7:04pm. "viewing patients who believe in conspiracy theories as crazy"
Indeed, there is nuance in the text of some of the coverage and the original research, but the screaming headlines are what gets the job done, plus the follow-on opinion pieces like Sunstein's that proclaim, "Maybe aliens did it", and so serve to cement the categorization as "nuts" vs "regular people". This is why the world was sure there were WMDs in Iraq, even as they retracted it quickly -- the claims were in the headlines while the retractions were buried in text on the back pages (that only those who already are deeply concerned are bothering to read). The headlines on these -- painting common sense skepticism about mainstream medical practices and claims as "conspiracy theories" -- is ultimately what counts for the propaganda war. Victronix on Thu, 03/20/2014 - 7:49pm. I find it ironic to see the word 'traditional' applied to the pharmaceutical industry and pill-popping society we have today. rm on Fri, 03/21/2014 - 1:48am. The term "conspiracy theory" is a very effective tool employed (by authority and their corporate media lackeys) to shut down discussion of controversial topics, especially events in which those in positions of authority are implicated in (often heinous) criminal activity. The development of the phrase got its kick start with the assassination of JFK - which pitted two competing theories against each other: the "lone assassin" theory, versus the multiple shooter, or "conspiracy" theory. (The common definition of conspiracy is a "plan by two or more people to commit a crime"). So, in a concerted effort to discredit those who disagreed with the "Lee Harvey Oswald did it alone" explanation, the term "conspiracy theory" has been systematically and broadly linked with the absurd and nonsensical. By the time of 9/11, "conspiracy theory" has a long history of being viewed by the mainstream as an expression of ridicule - having been subject to regular association in the popular media with beyond the fringe topics with no basis in science or reality - like what was often seen printed in the Weekly World News and other tabloids. The huge majority of these discredited subjects (aliens, Bigfoot, Elvis' two headed cousin etc) have nothing to do with a conspiracy either; the term has effectively been redefined and infantilized. One of the first things uttered by President Bush in the immediate wake of 9/11 was "let us not tolerate outrageous conspiracy theories". His handlers and speechwriters were obviously clued up in this matter. To inject "conspiracy theory" in a discussion has the effect of protecting suspicious parties from fair scrutiny - the challenge is discredited by default. I guess one has to hand it to those who are in control of the popular awareness - unfortunately they are masters of mass psychological manipulation. bloggulator on Thu, 03/20/2014 - 10:25pm. jnelson on Thu, 03/20/2014 - 10:57pm. Another thing about this that really bothers me, though, is when people who actually are informed fall for the trap of accepting this warped usage of the term 'conspiracy.' They'll be relating information that is not widely circulated--only to defensively say, 'And it's not a conspiracy theory!' While in many cases, what they're talking about does indeed concern a conspiracy! (though it may not be theoretical). Rather than lead people to understand how the term is abused in our day, they implicitly accept it as a synonym for 'crazy' or 'false.' All this does is feed the Orwellian beast, encouraging people to accept that government officials and corporate media really do have the power over language itself that they megalomaniacally presume to have; failing to appreciate Orwell's warning that one of the main battlefields between tyranny and resistance in our time would be that of language itself. rm on Fri, 03/21/2014 - 1:21am. jkeogh on Fri, 03/21/2014 - 12:03am. 7man on Fri, 03/21/2014 - 11:27am. If snakes could talk, they would object to that comparison. gerrycan1 on Fri, 03/21/2014 - 12:04pm. Orangutan. on Fri, 03/21/2014 - 2:42pm. "Conspiracy Theories and Other dangerous Ideas"
Satyavira on Sat, 03/22/2014 - 8:25am. This article has some pretty impressive comments that are voted up to the top. Good sign of the times. Orangutan. on Sat, 03/22/2014 - 10:36am. 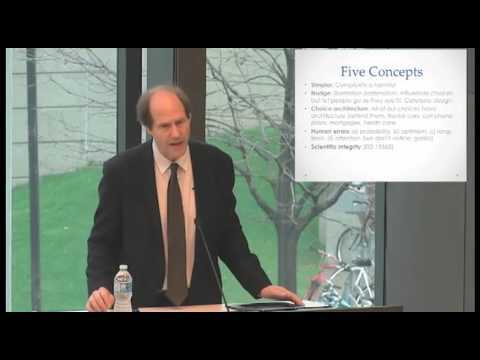 The book is a collection of some of Sunstein's most controversial articles, starting with his article on conspiracy theories. He says the article has been substantially revised. I haven't had time to read it yet, but it looks pretty similar to the original. (You can read most of it, and the Preface which discusses it, through Amazon's Look Inside feature.) The other articles don't seem to bear much on the issue of conspiracy theories. Kurtis Hagen on Sun, 03/23/2014 - 9:55am. I hope everyone can take a moment to contribute some wisdom . . .
Victronix on Sat, 03/22/2014 - 6:18pm. By the way, their are much better polemicists and rhetoraticians on this blog than Sunstein could ever hope to be. Peter ORourke on Sat, 03/22/2014 - 12:13pm. "The TRUTHERS Who Perpetuate The Theory That The U.S. (GOVERNMENT) Orchestrated The Attacks On 9/11"
Orangutan. on Wed, 03/26/2014 - 8:30pm.